Tomatoes, Seafood and Zydeco: this festival trio (June 9-12, 2012) celebrates the early summer harvest bounty of the New Orleans region. The festivals are held at the same time and in the same location, the French Market District, 8 blocks along the Mississippi River from Jackson Square to Esplanade Avenue, a quick ride from our Garden District B&B via the historic St. Charles Avenue streetcar. 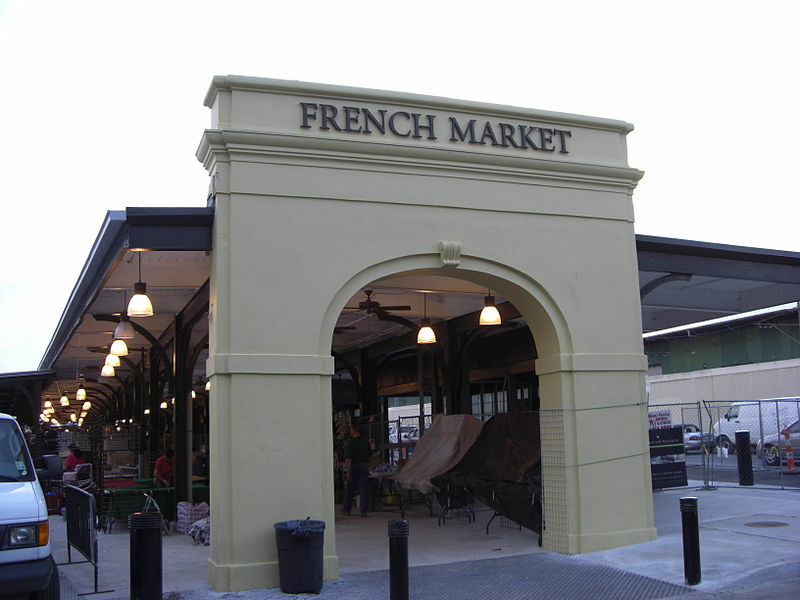 The French Market’s Creole Tomato Festival heralds the arrival of New Orleans’ favorite summer vegetable. 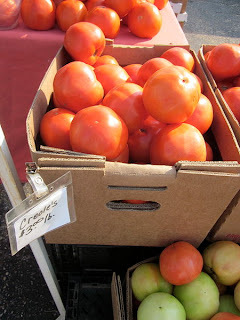 The New Orleans secret behind what makes a tomato a Creole is only realized through the local culture. And what makes this festival a local favorite are the life size tomatoes strolling the grounds handing out tomato shaped fans and the annual auction of the first tomatoes of the season to local chefs for charity! The sixth annual Louisiana Cajun-Zydeco Festival has three stages (also at the Old U.S. Mint), cooking demonstrations, a large crafts fair with handmade jewelry and art, and some of the best Cajun and zydeco artists in the state. Come out and enjoy all three festivals for delicious Louisiana food, music and fun! Two-step your way down to our Garden District Bed and Breakfast to relax after feasting and frolicking along the old Mississippi River. This entry was posted in Festivals, French Quarter, New Orleans, New Orleans Festivals and tagged Cajun-Zydeco Festival, Louisiana Seafood Festival, Tomato Festival. Bookmark the permalink. There aren’t enough days in the year for everything New Orleans has to celebrate. 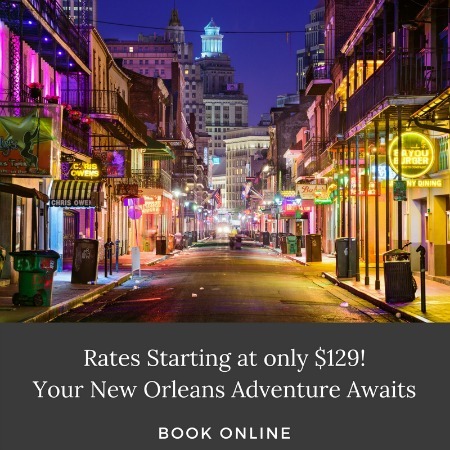 During the weekend of June 11-12, 2011, the Big Easy will be celebrating three festivals that capture the essence of the city. Known as the Vieux To Do festivities, the weekend is comprised of the French Market‘s Creole Tomato Festival, the Cajun-Zydeco Festival, and the Louisiana Seafood Festival. During the 25th Annual Creole Tomato Festival, visitors can enjoy cooking demonstrations with Louisiana’s staple vegetable for any savory dish, the tomato. Be “ripe and ready” to taste dozens of tomato dishes at numerous booths adjacent to New Orleans’ extensive farmer’s market. Learn about the local food during the food lectures and don’t forget to watch the Creole Tomato Parade march through the French Quarter. While at the Creole Tomato Festival, enjoy the sweet sounds New Orleans has to offer at the Cajun-Zydeco Festival. Hosted by the New Orleans Jazz and Heritage Foundation, enjoy twenty bands on two stages that produce the sounds that all began in the Crescent City. From jazz to gospel, Grammy Award-winning performers including Michael Doucet and Beau Soliel will be taking the stage. Arts and Crafts vendors and food vendors will be aligned by the stages to enjoy while listening to the concerts. Finally, the Louisiana Seafood Festival honors that the state harvests the most seafood across the nation. Join the celebration at the world’s largest crawfish boil for food and fun. There you will find cooking demonstrations, celebrity chefs, book signings, and so much more! the Garden District to the Tomato Festival, from the famous St. Charles Avenue mansion to the Old US Mint in the French Quarter, see all of New Orleans during the Vieux To Do weekend celebration! This entry was posted in Festivals and tagged Cajun-Zydeco Festival, Creole Tomato Festival, Louisiana Seafood Festival. Bookmark the permalink.